If you are looking for a sustainable material to specify in a project that will save money, time, and resources over the long-term, then natural stone should be your material of choice. Due to stone’s wide variety of aesthetics, durability, recyclability, low maintenance, and regional availability, there is no project that stone cannot enhance. These inherent qualities and characteristics make specifying stone an easy choice for meeting many sustainability requirements, including those in the LEED Rating System or Living Building Challenge. These rating systems are intended to help create buildings and communities that reduce energy use, are healthy, enhance the environment, and contribute to a more sustainable future. Stone is a natural material and has been used for centuries for everything from sculpture, roads, paving, buildings, and tools. Designers, architects, and builders have long known about and understood the timeless beauty and strength that stone offers. Over the centuries, more stones have entered the marketplace and new technologies have advanced stone’s ability to be applied to an even greater range of projects and installation types. 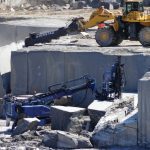 These advancements have also contributed to the stone industry’s improvements in waste reduction, increased efficiency, and enhanced life of the material. Homeowners as well as building owners have gained a greater interest and understanding of how these developments support their sustainability goals. Exterior and interior uses for stone are limited only by the imagination. 1) What kind of stone is it and what are its characteristics? 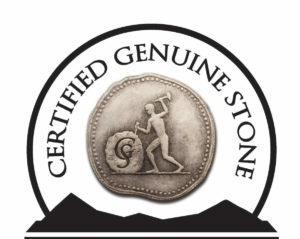 This refers to the stone’s basic mineral composition and an essential part of the selection process. The most sustainable use of stone is the one that is selected appropriately, performs as designed and lasts a long time. 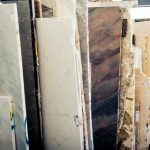 Begin by visiting stone suppliers, fabrication plants, and stone showrooms to discuss your goals and start the stone selection process. During this process discuss the importance of sustainability and learn more about the stones that are available that meet your criteria. Do you plan to use the stone on the exterior or interior? What is the intended use for the stone? How long do you want the stone to last? Is it available in the quantity and timeframe needed for the project? 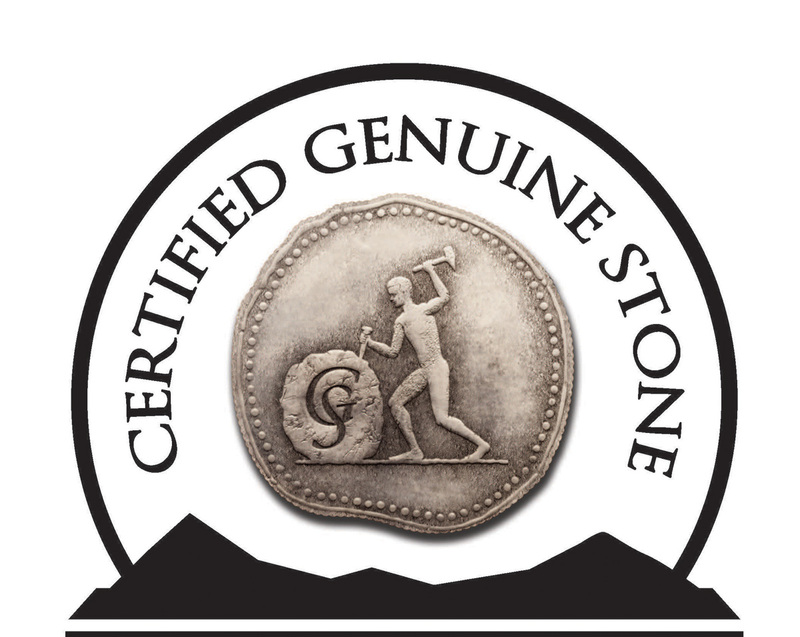 Is the stone certified as sustainable under the NSC 373 or Chain of Custody standards? Is there documentation to support the sustainable claims? 2) Does the stone scratch or stain easily? This refers to the hardness and rate of absorption of the stone, respectively. 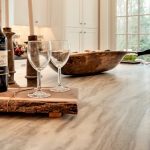 These characteristics are important to know if you intend to use stone in a high use or high traffic application such as flooring, countertops, restrooms, labs, and bars. It will also be a good indicator of whether or not the stone can contribute to a healthy, hygienic interior, an essential element of sustainable design. If you find a stone that you really want to use, but it does not meet these criteria, ask if the stone can be filled, finished, or sealed to achieve the result you desire. 3) What are the fabrication and finishing options and how do these contribute to sustainability? The fabrication method and finish you choose will have an impact on the final look of the material as well as on how it performs. There is such a wide range of fabrication and finishing options to choose from, each of which has a different process and outcome. Fabrication techniques using computer numerically controlled machinery can save resources such as time, water, and energy due to the increased efficiency of the equipment. This efficiency will also translate to reduced waste of the material and cost savings. Ask what fabrication method and finishing option would help the stone you have chosen stand up better to wear and tear, reduce weathering, or increase the stone’s ability to resist slipping, mold, staining, or etching and scratching. Ask if there are ways to create different looks from one stone using different finishes. This is a creative way to use only one material, especially if there are budget constraints, but it will also save on quarrying and fabricating additional types of stone, which will help conserve natural materials. 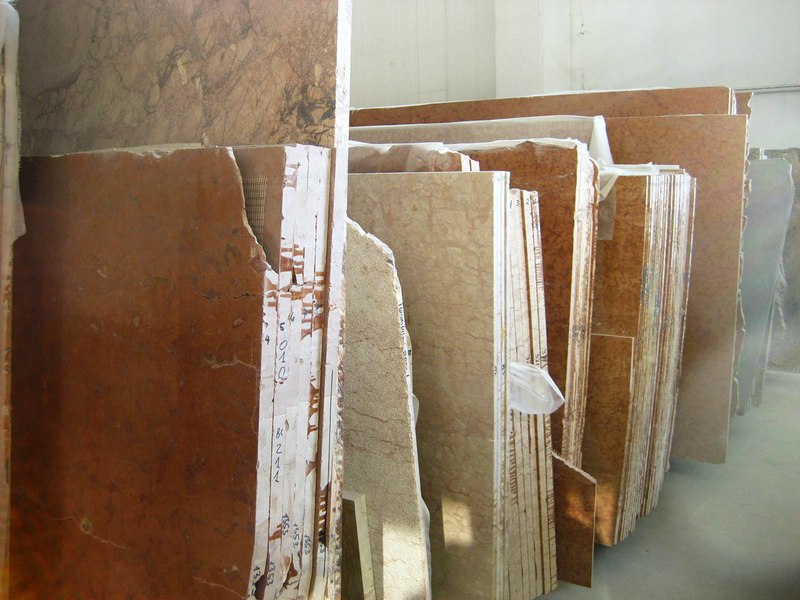 Sample stone slabs available at a stone yard or showroom. 4) What is the optimal and most sustainable installation or setting method for the stone selected? From the underlayment, grouts, and sealants, to the size of slab or tile, the methods used to install and set the stone should enhance the stone’s ability to stand up to weather, traffic, and use. The installation method and supporting materials should all be considered together so the stone performs as a system. In sustainable design, durable, low maintenance materials are highly desirable. So ask your stone supplier, fabricator and installer if there are methods and materials that will ensure that these goals are met. Sustainable setting products with no harmful chemicals or low and no volatile organic compounds (VOCs) are available in the marketplace to meet sustainability requirements. The Living Building Challenge’s Red List will provide the information you need about chemicals that are not permitted and must be avoided within sustainable design applications. Be sure to clearly specify these requirements in the contracts you enter into. 5) How can you keep the stone looking and performing at its best? 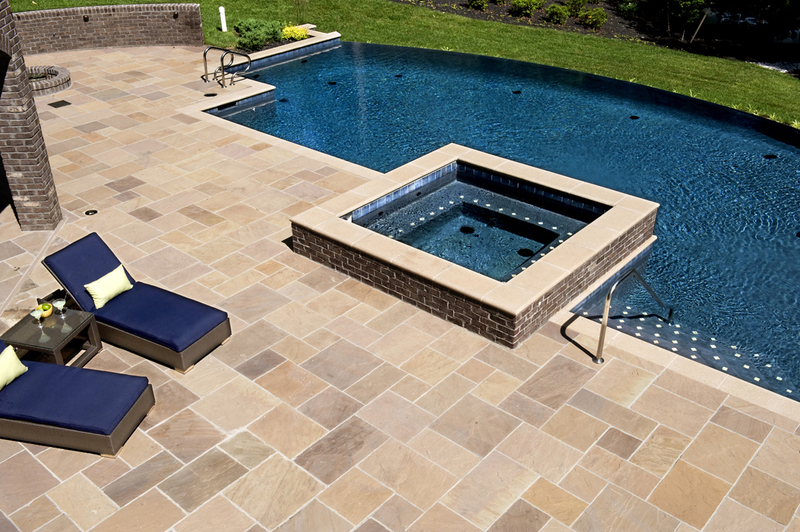 The goal is to take advantage of how long stone can last by considering its long-term use and maintenance. 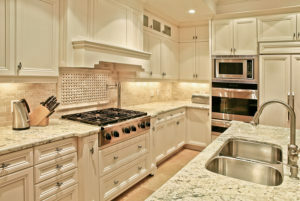 Stone is generally a low-maintenance material, but if the grouts, adhesives, and sealants used to install it are not designed to the same life span as the stone, then the entire design can fail. 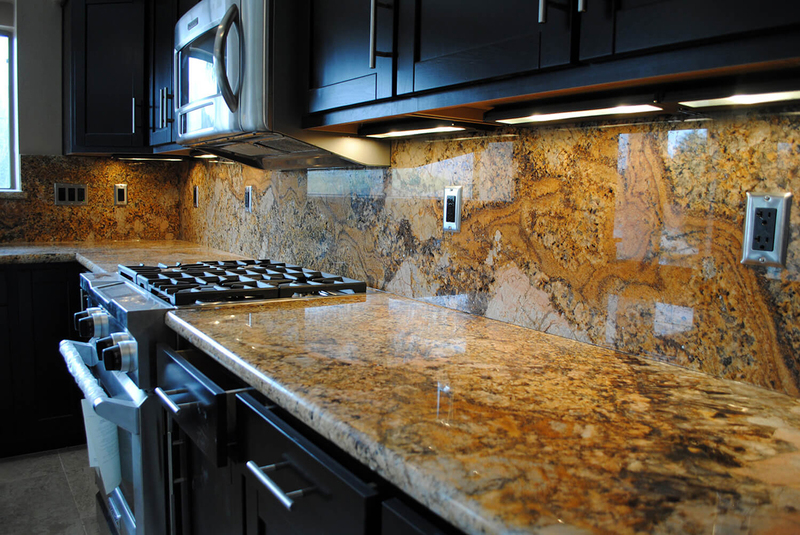 Additionally, if harsh chemicals are used to clean and maintain the stone, then the stone will become brittle and crack or fall apart, reducing its life span. Make sure to require guidance for sustainable cleaning and maintenance of the stone and work with products and suppliers who are well versed and experienced in this area. 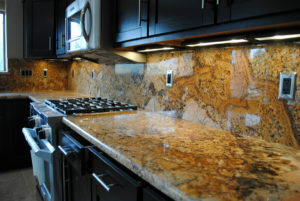 The beauty of natural stone continues to change over time as each stone patinas and ages in its own unique way. The most sustainable project is one that not only lasts a lifetime but is loved and enjoyed for a lifetime as well. 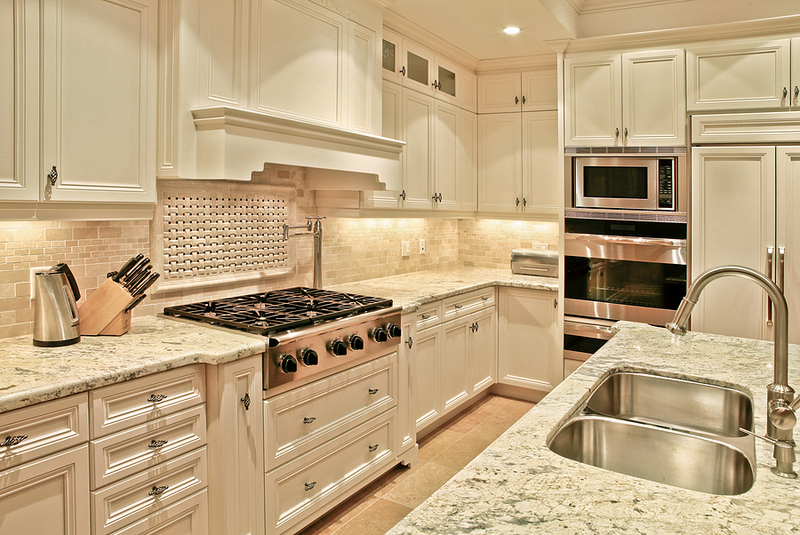 A beautifully coordinated palette of granite countertops with a stone backsplash that includes an inset detail above the stove. Throughout the design and decision-making process, be sure to coordinate all communications with everyone involved, so that sustainability is specified and implemented every step of the way. 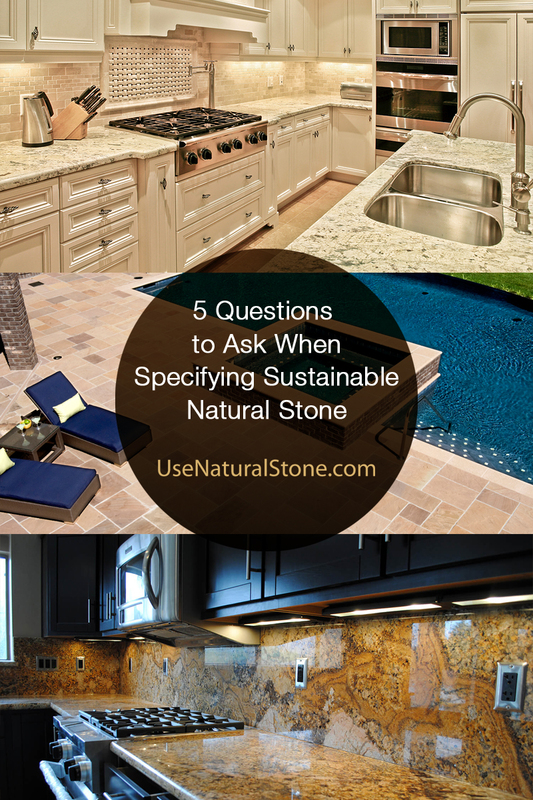 To learn more about the sustainable characteristics of natural stone, visit the Top Five Reasons Why Natural Stone is a Sustainable Choice for Your Home.